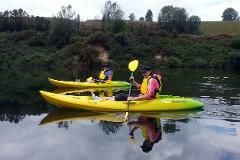 Take a guided Kayak Tour on Lake Karapiro. 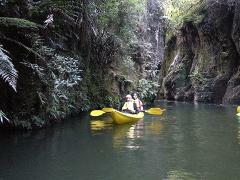 Travel up the Pokaiwhenua Canyon and discover the hidden gem of the Waikato. Native trees, ferns, bird life and submerged villages and dams. 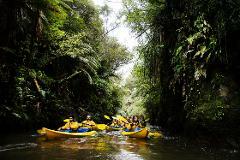 Starting late afternoon/early evening at Lake District Adventures' base you'll paddle along the edge of Lake Karapiro & up the Pokaiwhenua Stream. Once it's dark you'll drift slowly back through the glow worm covered canyon. 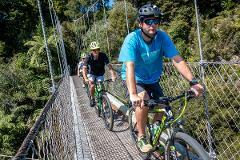 This package includes a shuttle drop off to the Waikato River Trail (Arapuni Dam) and a half day kayak rental. You provide your own Bike. 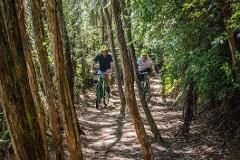 Shuttle to Arapuni Dam with bike hire & then ride back to LDA base to collect kayak & explore Lake Karapiro & Pokaiwhenua stream. The perfect gift for that hard to buy for person. Get them a voucher to put towards an experience they'll remember forever.